The injury occurs when the foot is dorsiflexed and inverted which often occurs when snowboarding but can occur with other ankle inversion mechanisms too. On exam, patients will have point tenderness over the lateral process just anterior and inferior to the tip of the lateral malleolus. These will often resemble ankle sprains! 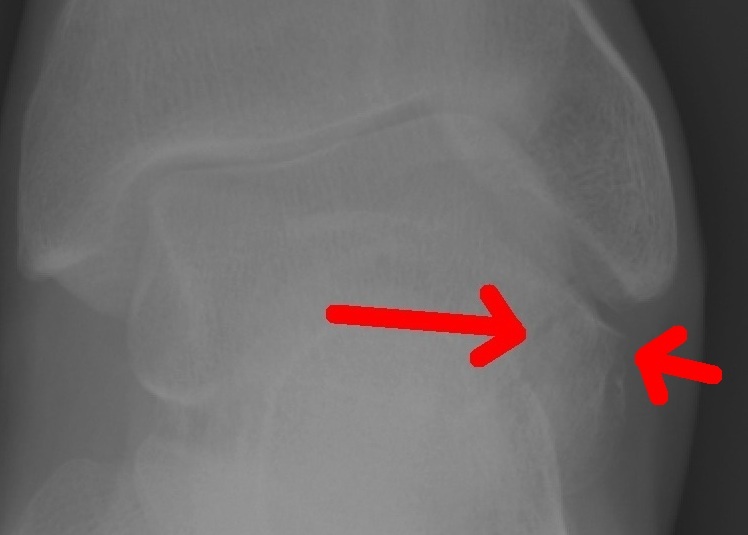 The patient may note loss of motion if the fracture extends into the posterior facet of the subtalar joint.